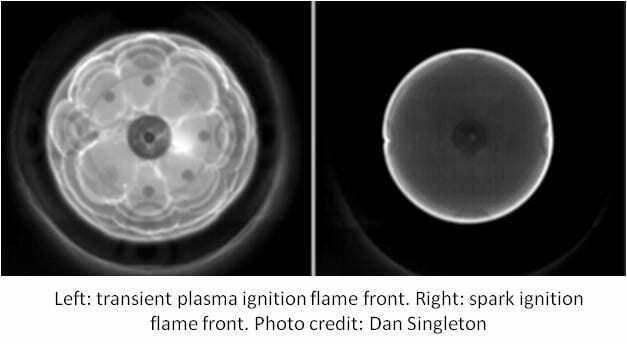 Our work is an experimental study of non-equilibrium plasma in the transient, formative phase of an arc, applied to ignition and combustion. higher mass flow rate s, resulting in improved efficiency and reduced emissions from a variety of airborne engines, as well as internal combustion engines. 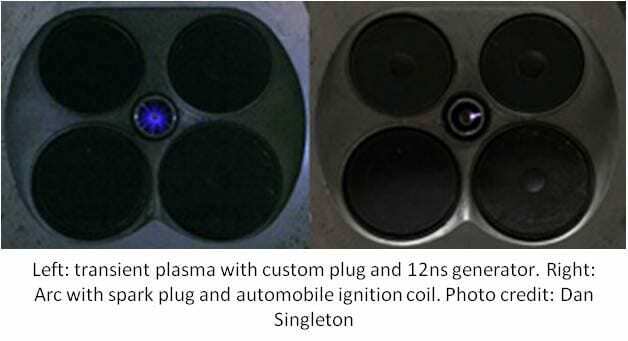 The approach to transient plasma ignition is different from traditional approaches in that a short(typically less than 100 ns) high-voltage pulse is used to initiate ignition, rather than a many microsecond to several milisecond high-voltage pulse for spark ignition. 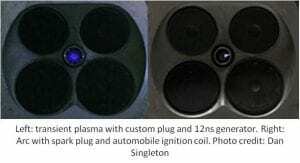 An arc from a traditional spark plug commonly used in both automobile and aircraft engines is an equilibrated (thermal)or nearly equilibrated plasma. 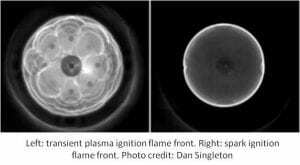 Ignition is achieved by local heating of the gas, which increases the dissociation rate, and reactions of chain prolongation and development. In a non-equilibrated (transient) plasma, the ionization process is dominated by field-driven, energetic electrons impacting with “cold”, non-excited atoms and molecules. 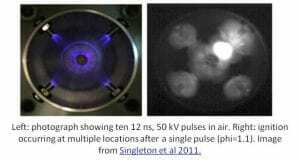 Significant energy goes into creating highly energetic electrons instead of heating of the gas. 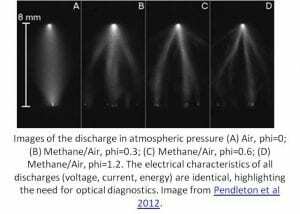 An array of streamers(thin plasma channels) propagate across a gap by ionizing the gas in front of their charged heads. The streamers branch throughout the volume, rather than being concentrated at a single point like an arc, and have high energy electrons (up to 15 eV) in their heads. 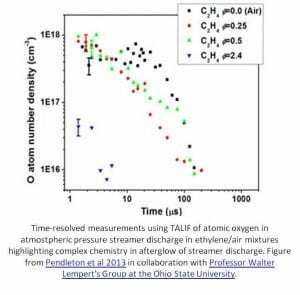 These electrons produce excited species through impact dissociation, excitation, and ionization of background gas molecules in the system, initiating combustion via electron impact, which is a more efficient and faster process than via traditional thermal methods. To realize this technology, it is critical to both reduce the size, weight, and reliability of nanosecond pulsed power systems, and to understand the science of highly non-equilibrium energy states that occur between matter and energy. 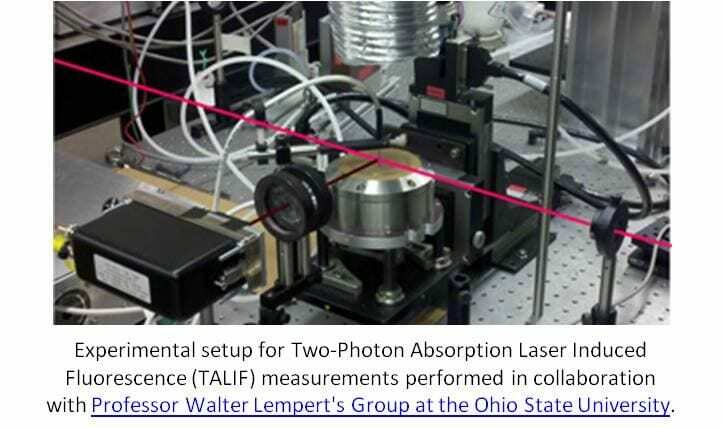 The focus of our research has been both engineering more compact and reliable TPI systems and applying them in experiments to improve the understanding of the physics of the process. 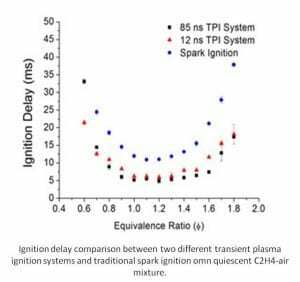 While TPI’s effectiveness compared to spark gap and arc ignition has been shown in experimental tests, the mechanisms behind the improvements to combustion are not yet well understood. 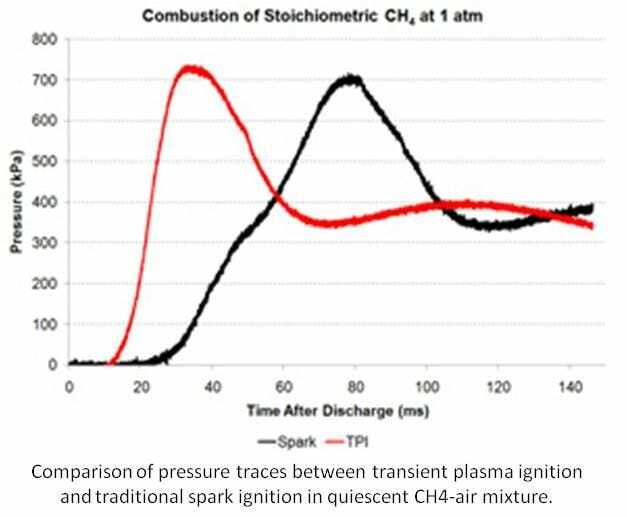 In order to optimize TPI for future applications, it is necessary to understand how it improves combustion so engines can be designed to maximize such mechanisms. 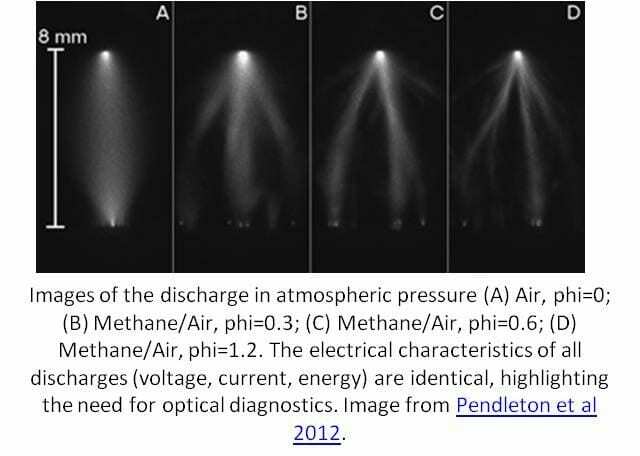 Initially TPI was believed to be a purely volumetric effect; the streamers occupy more space than a regular spark gap. 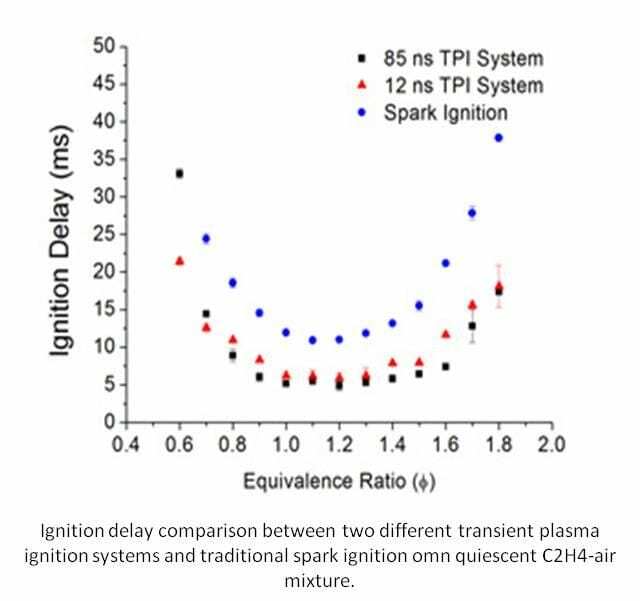 Recent experiments, however, have cast doubt on this by demonstrating that initiation of combustion is inhomogeneous throughout the volume and by showing reducing the size of the electrode gap does not proportionally reduce the improvements of TPI. 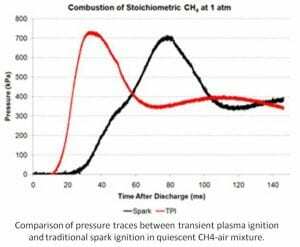 Thus, an experimentally verified predictive kinetic model of TPI is necessary to understand its effect on combustion and to allow future optimization. Developing an experimentally verified predictive kinetic model of TPI is a nontrivial task, posing many serious challenges. First, while many models of streamers have been developed, experimental verification has lagged behind computational and theoretical work. Thus, experimental work of streamer discharge alone is necessary in order to proceed. 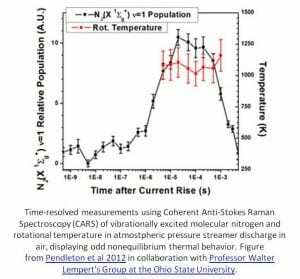 Current understanding of combustion is more complete, but the models are not optimized for the input of streamers and their products. 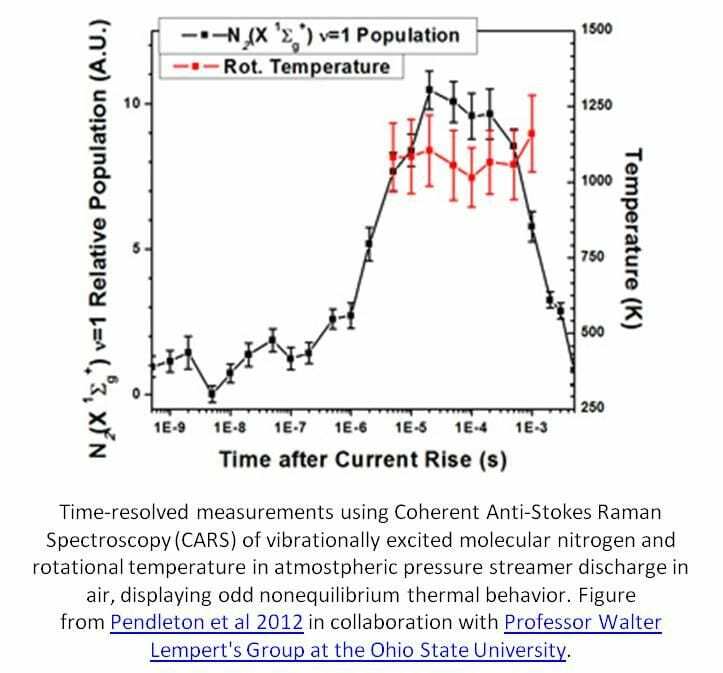 Linking experiment to models poses another challenge: due to computing requirements both streamer and combustion kinetic models generally use zero-or one-dimensional regimes, requiring inherently two-or three-dimensional experiments to be modified in order to reduce relevant dimensions. 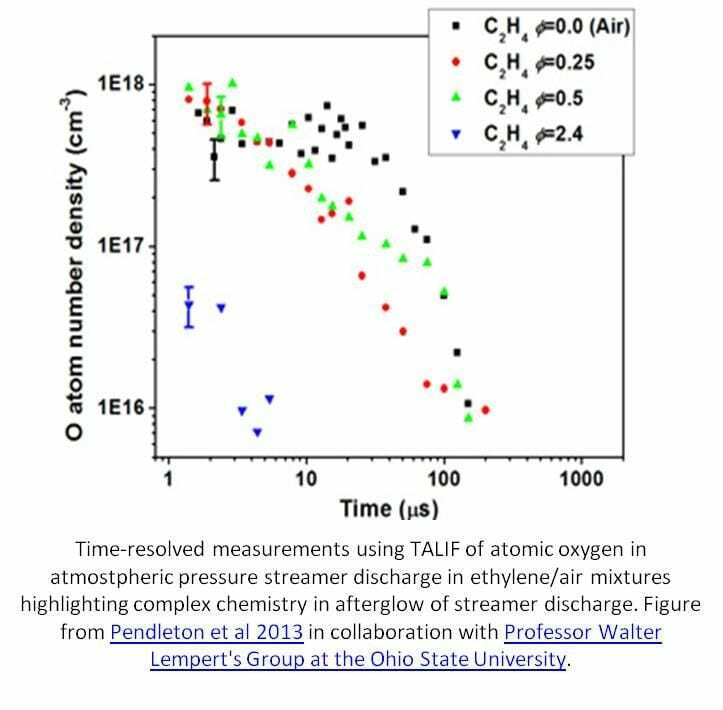 In addition, time scales pose another complication; a kinetic model must take into account a very large temporal range from the nanoseconds for streamers all the way to the milliseconds for combustion. Despite these challenges, a predictive kinetic model of TPI is possible. 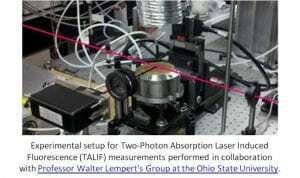 Essential in this research is collaboration with other groups, such as the Michael A. Chaszeyka Nonequilibrium Thermodynamics Laboratory at the Ohio State University, in order to mate pulsed power, combustion, computational, and optical diagnostics equipment and expertise.